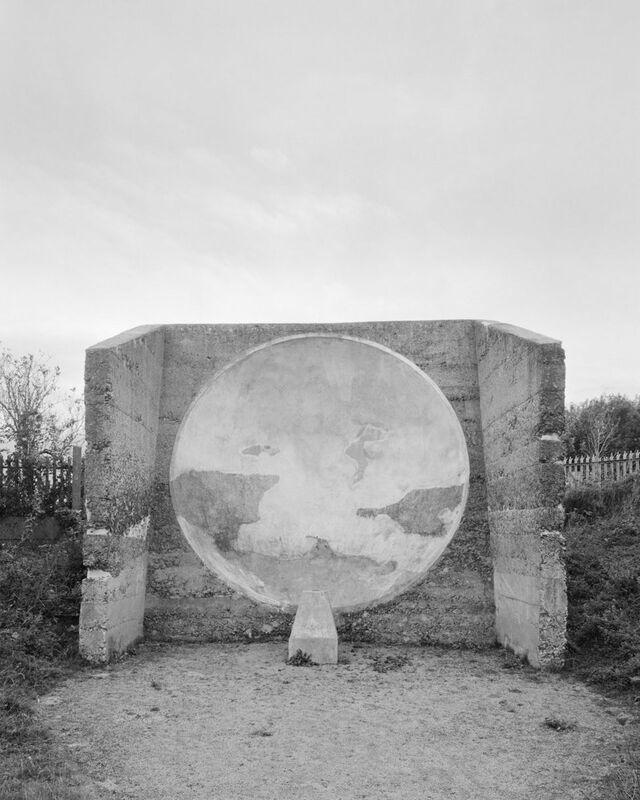 Image caption The sound mirror at Abbot's Cliff, between Folkestone and Dover. 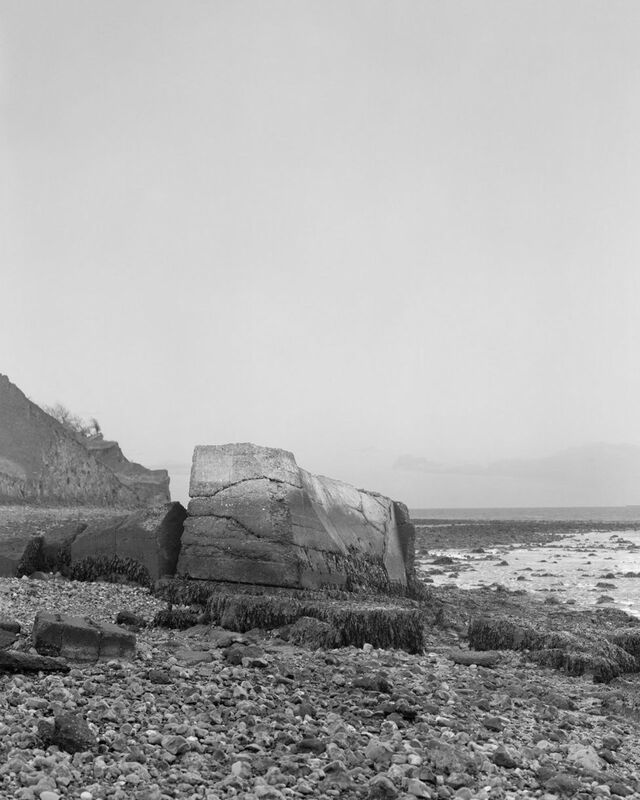 "When I originally arrived at the cliff's edge, the sun was creating a harsh shadow down the face of the concave which wouldn't have done the structure any justice'" says Pettet-Smith. "I knew it was going to pass at some point so I just got my book out and waited. Around three or four hours passed and eventually the sunlight started making the eclipse in the concave that makes the picture what it is." 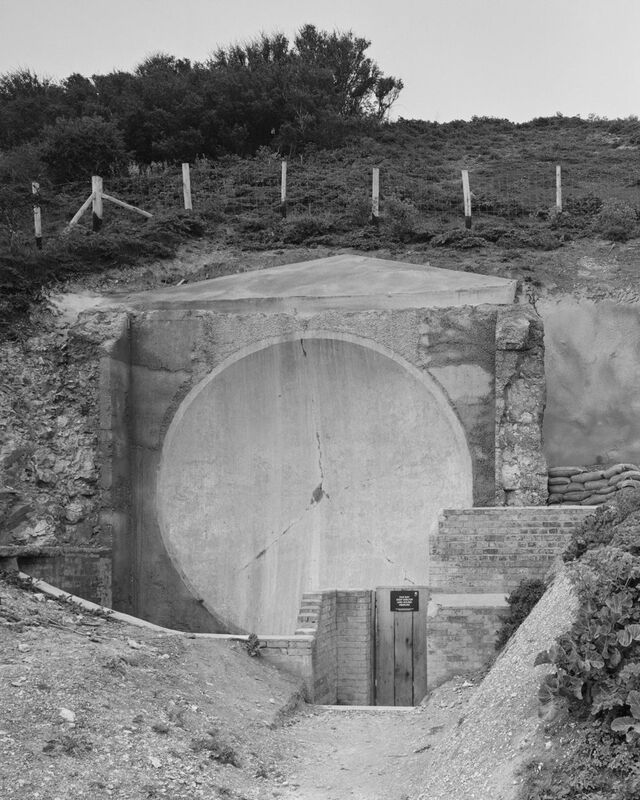 Invented by Dr. William Sansome Tucke and known as sound mirrors, their development continued until the mid-1930s, when radar made them obsolete. 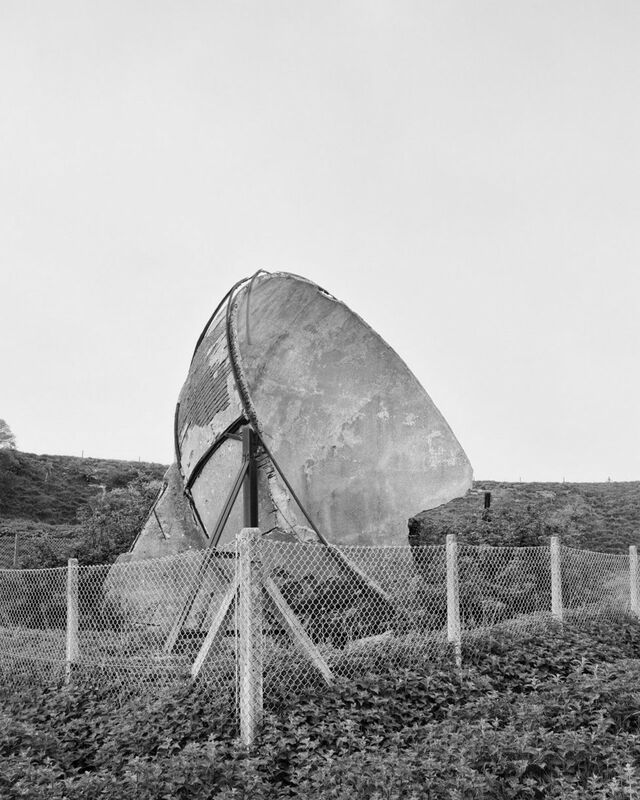 Image caption "From what I can gather from old Ordnance Survey aerial photos, this sound mirror at Warden Point on the Isle of Sheppey used to be mounted on the neighbouring cliff, but has since fallen into the sea due to coastal erosion. When the tide is up it is nearly entirely submerged so I had to work out when the tide was going to be fully out to be able to photograph it. It was then a case of finding an angle that accentuated the curve of the surviving section of concave," says Pettet-Smith. "When I was a child my father told me stories about my grandfather and his involvement in radar," says Pettet-Smith. "One of his recurring joke's has always gone along the lines of: 'It's not rocket science, I should know, my Dad was a rocket scientist.'" 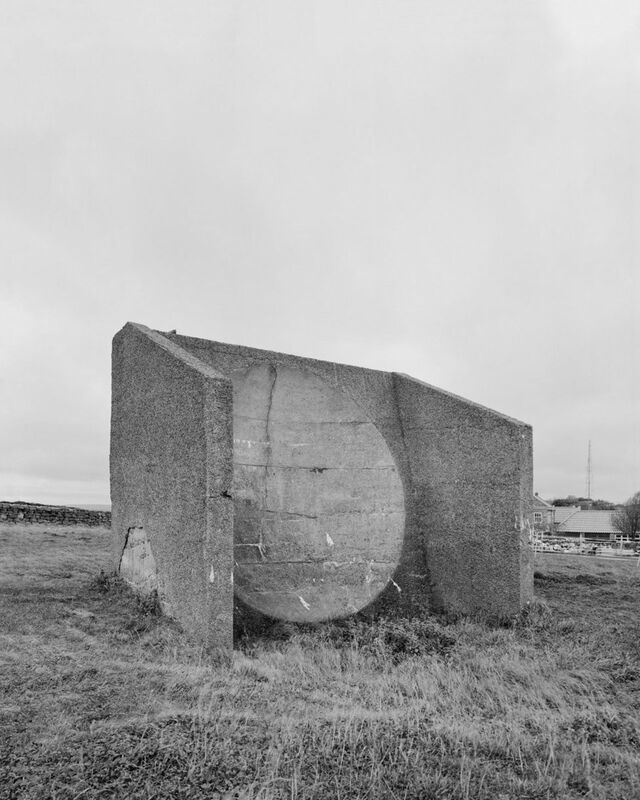 Initially Pettet-Smith was drawn to the family connection, but after researching early aircraft defence experiments, he became fascinated by the story of the sound mirrors. 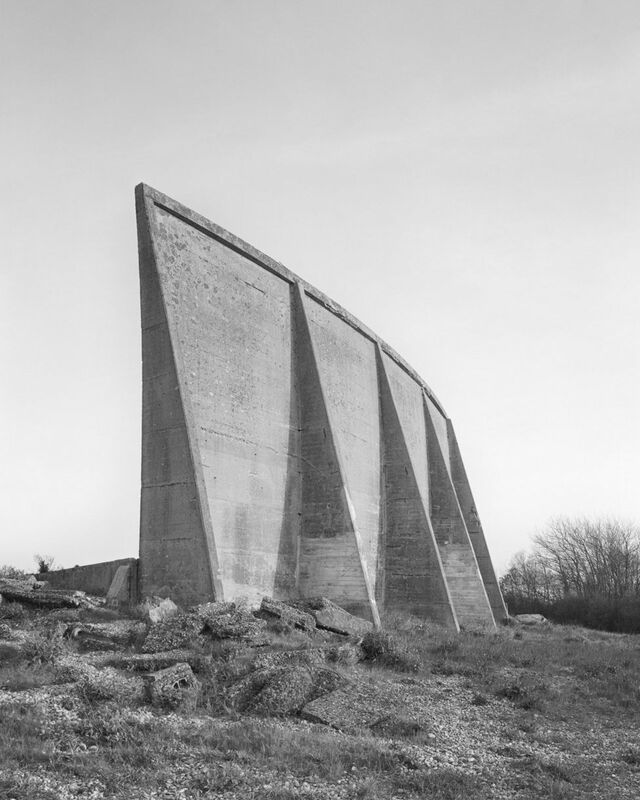 Image caption "When this structure was constructed in Redcar in about 1916 the surrounding area would have been marshland. It was built away from the population to avoid any intruding sound pollution," says Pettet-Smith. "Today it stands on the edge of a housing estate. So there I was, tripod half on the pavement half off, jacket over my head framing up the picture when I notice a few bystanders have started to stop and stare. One lad said he passed by it every day but didn't know what it was, let alone that it was one of many up and down the country." "I began to think more and more about the relationship between art, science and the creative process. Experimentation and ultimately failure are an intrinsic commonality of all three. 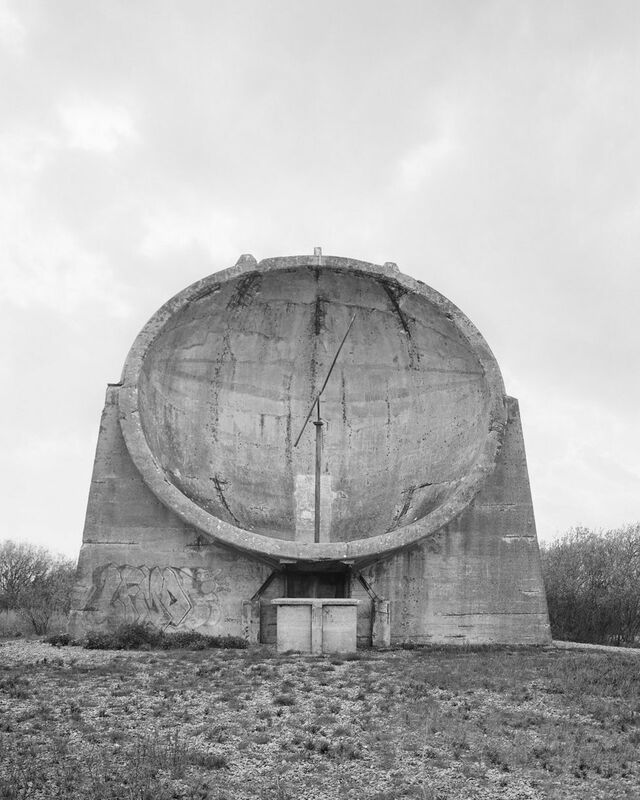 "The sound mirror experiment, this idea of having a chain of concrete structures facing the Channel using sound to detect the flight trajectory of enemy aircraft, was just that - an experiment. They tried many different sizes and designs before the project was scrapped when radar was introduced. "The science was solid, but aircraft kept getting faster and quieter, which made them obsolete." Image caption "This is in a farmer's field in Yorkshire," says Pettet-Smith. "On Google Maps a landline number pops up for a caravan site next door. After speaking to them, I got the number for the chap who owns the field and he kindly said it was okay for me to cut across and photograph the structure. 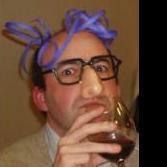 So my thanks go to Peter for this one. Luckily his sheep were in the next field along. 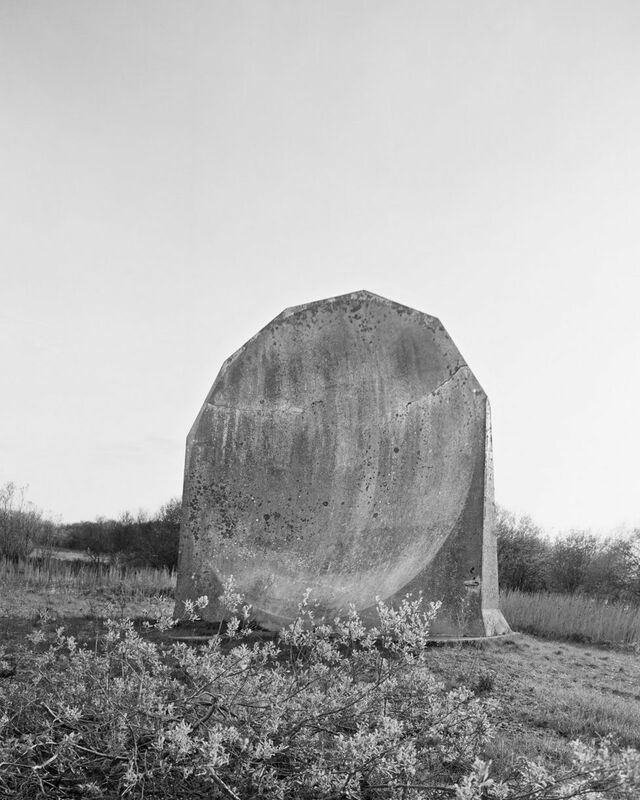 Interestingly the Kilnsea mirror is one of the only structures to still have the remnants of the metal microphone pole that would have originally been used." Pettet-Smith used an old wooden large format plate camera to record the structures, partly because he wanted to use technology that was around at the time, and secondly as it allowed him to correct the perspective of the structure in-camera without resorting to manipulation at a later date. "Some of the structures were removed by local councils; many more were planned but never built. 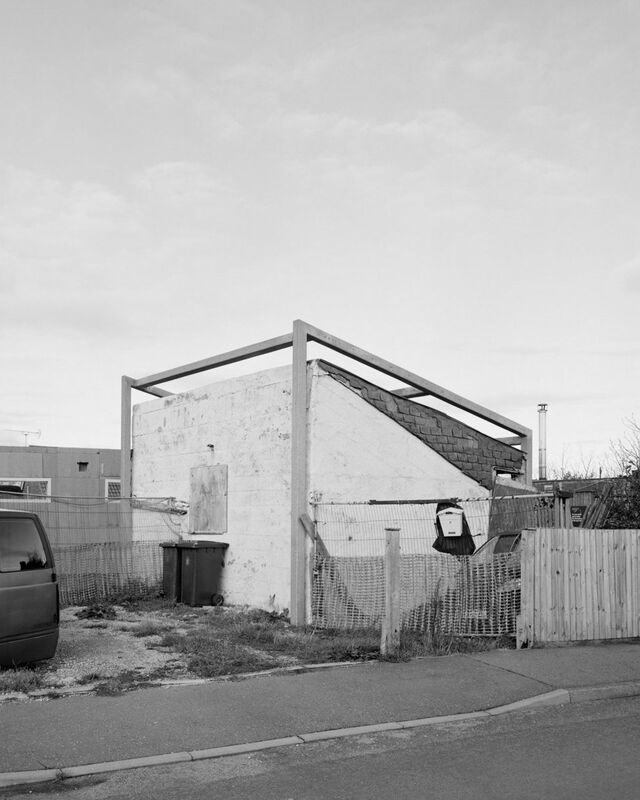 This series is a celebration and a cataloguing of all the remaining examples." 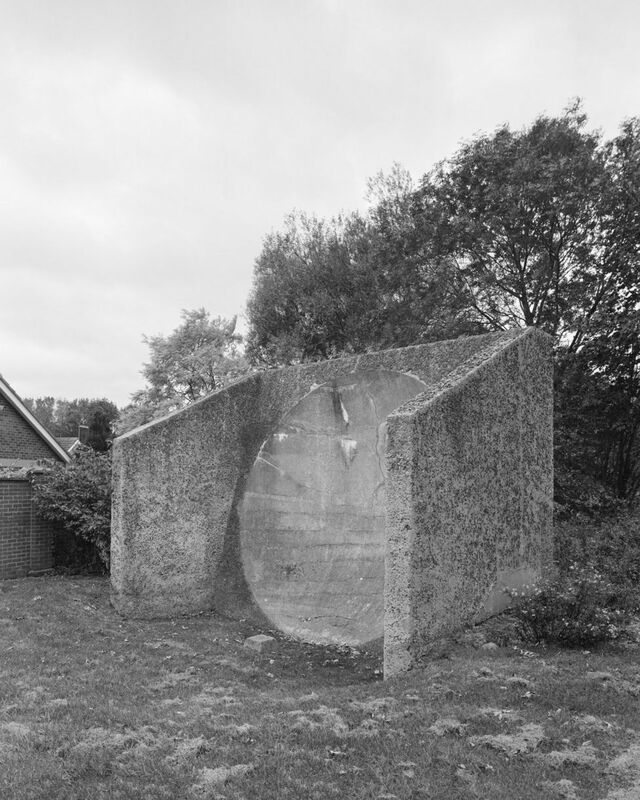 Image caption "The design of the Selsey mirror in East Sussex matches structures on the Northern coast in Boulby, Redcar and Sunderland, but the opposite side has been bricked up," says Pettet-Smith. "The letter box had a mobile number on it and so I left a voicemail. That evening Darren, the owner, called me back and we spoke at length about the sound mirrors and the peculiar history of the Selsey mirror. Unlike the other remaining mirrors, the Selsey mirror is a Grade II listed building and was converted into a domestic residence shortly after the end of World War Two." 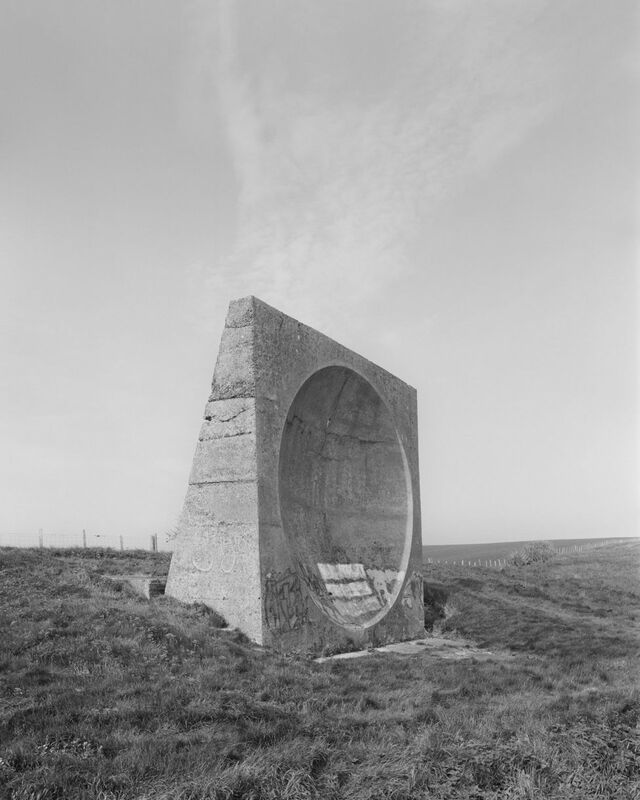 Image caption The sound mirror at Fan Bay, Dover, has a diameter of 15ft. Image caption A larger 30ft mirror can be found nearby. 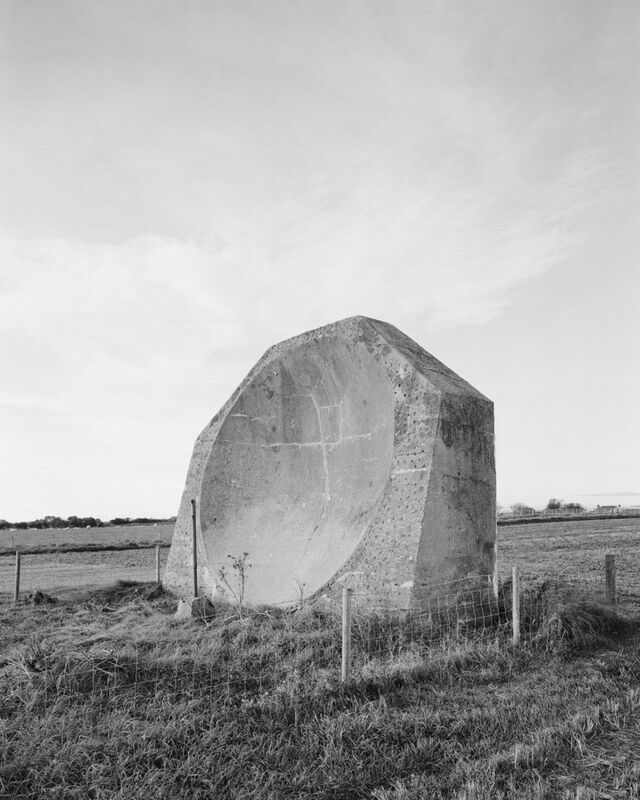 Image caption There are three sound mirrors on the coast at Denge near Dungeness. The first is 20ft. Image caption Nearby sits this one, which is 30ft. Image caption The largest of them is a 200ft sound mirror. 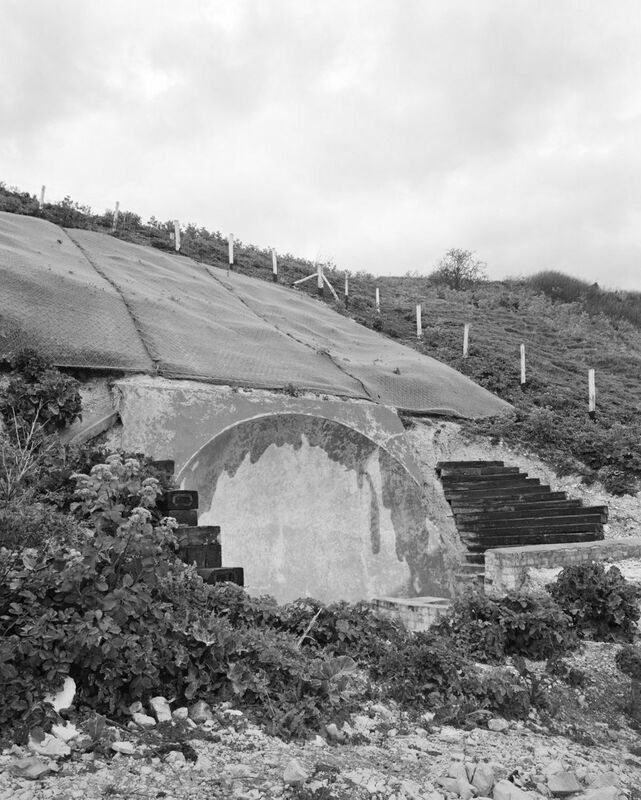 Image caption The sound mirror at Hythe was built in 1923. As I know the British went to great lengths to keep a secret their super weapon: "radar"! As it was a powerful tool in the fight against the Germans. The Germans had radars as well. I highly recommend “The Most Secret War” by RV Jones. He describes some interesting differences between the German and British radar. Moreover, the main factor was how the British exploited the information obtained by them. That depends.... Syd era Floyd? Peak Gilmour Floyd? 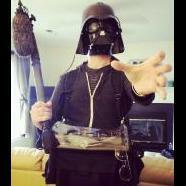 Or authoritarian Waters era? also: this is a great article. Thanks so much, Mono! 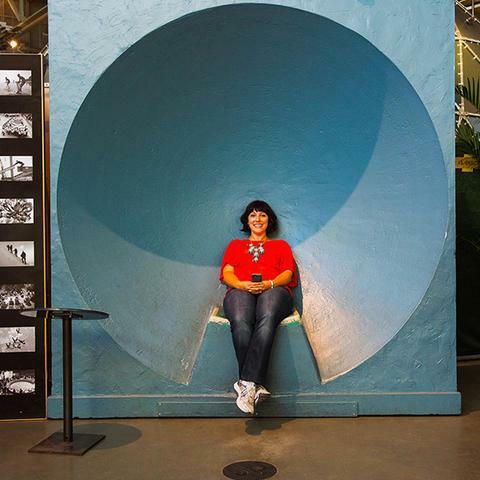 Exploratorium in San Francisco has had an exhibit since I was very young. I remember as a child wondering why there weren’t more cool things like this around. I was always fascinated by echoes. Ah yes, one of the old treasures of the BBC I purchased the dvds even. And the book by RV Jones is a terrific read. MOTAT in New Zealand has had the same too since I was a young kid, so you could whisper to someone else on the other side of the room. As a child I thought that was pretty cool. Theres a spot inside Grand Central Station NYC that has the same effect. It can be a busy commuter day but if you whisper into one specific corner your friend across the room can hear you. It mesmerized me as a kid. In Boston there’s the Maparium too! SOOOOOO cool! This is so awesome, thank you so much for posting Mono!